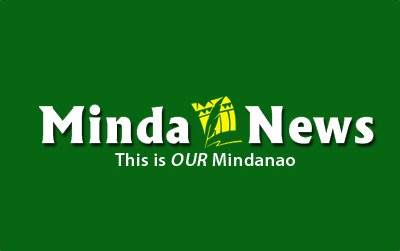 MALAYBALAY CITY (MindaNews/02 November) – In a citizens forum, Melchor spoke about his dismay that a local government refused to extend support to a student athlete who was competing in a national sports event. He was turned down because “there was no room for that kind of support.” Even more appalling is that another athlete ended up playing for another local government because it was the latter who shelled out funds for him. The citizen was curious as to what kind of sports program his local government unit is supporting. In that forum, other citizens talked about how to make government more accountable to the people. As a participant of that forum, I thought also of my role as a journalist and educator. I know there is much I can do. Honestly, the work of educators is hard labor. You are required to take part in your institution’s functions. In the case of a state university instructor, you are not just required to prepare lessons, give lectures, check and record students’ performance, and submit grades. You are required, as it should be, to do research and contribute to the creation or test of theories and existing body of knowledge to do extension work to help the poor and the under developed, and to be involved in production. It sounds like an overload to require a teacher to manifest his social responsibility in the aspect of citizenship. However, one’s citizenship is never apart from one’s work as educator. In my capacity, I can claim that my duty is only to explain economics and journalism to my students. Add to it, I can post on Facebook about my supposed concern for this and that. After scores of likes and shares, I’m good. Or so it seems. Perhaps, someone will suggest that checking governance has to be left to government functionaries. Are mechanisms of checks and balance still working? They should do that, that’s their job. Others might probably offer the advice: leave it to the activists or the rebels to call the attention of the government and to rally the people behind. Wait a minute. Think before you click. If I claim to be an educator or any purveyor of public information, I have a duty to others. There is no point forming the youth’s mind for science, letters, engineering, arts, laws, or any field of specialization, if they will not learn to respect one’s self and the rest of humanity. I think it is important for the modern day educators to connect lessons of whatever field to the reality at present. It is a must for a citizen of this country to understand how its people are governed, how people’s resources are used, among others. I get it as my take away from “Understanding Public Finance,” one of the most useful trainings I attended recently and organized by the Citizens Action Network for Accountability. It focused on “Local Budget and Audit Report”. I find this useful because it develops the public’s ability to understand the financial transactions of the government in particular and that the citizens have a say in these processes. For reporters, this is a requirement. They must be able to see the budget process, how it should reflect the priorities of the local government (read priorities of the constituencies of local governments), how it is implemented or executed, and how it is being monitored or evaluated. For citizens, this is a must. It is essential for citizens to keep tab of the transactions of government as they are purported to be the real boss of public officials. Rightly so, the public has the right to know. Unfortunately, this notion of the public getting to know how public money is collected and used is passed off as a motherhood statement (apologies to mothers). The public’s right to know is not (yet) supported by any mechanism to ensure its protection. If people mind the way government works and see how they can participate in the process, there is greater hope for good governance. I remember Melchor. He said he can do nothing about his LGU’s decision not to support a child’s request for funds to compete in a national sports event. He said he would look for other LGUs who are willing to support. I hope his tone was more hopeful.